Jack Thorne, b. 1863. Hanover; or, The Persecution of the Lowly. 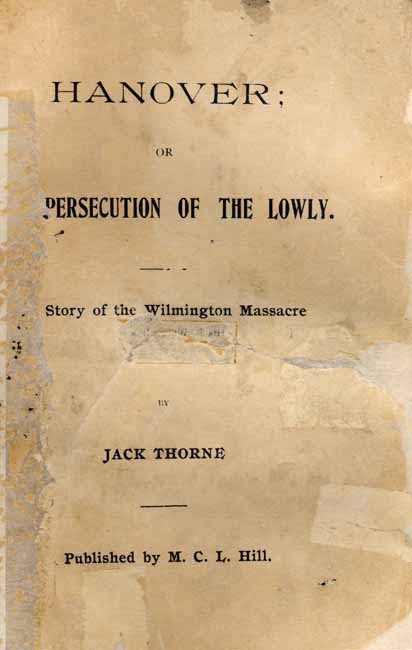 Story of the Wilmington Massacre.